While last night’s southern California earthquake shook up the Padres game, I was standing in a doorway downloading an Android app. Twitter was down, the news didn’t have anything yet, but I remembered Reto Meier, a Googler who did an Android talk at I/O had demo’ed an earthquake detection app. It’s called Earthquake!, and it’s got some very useful features, especially when you’re worried about the earth cracking open and swallowing your home whole. More screenshots inside–click to enlarge. 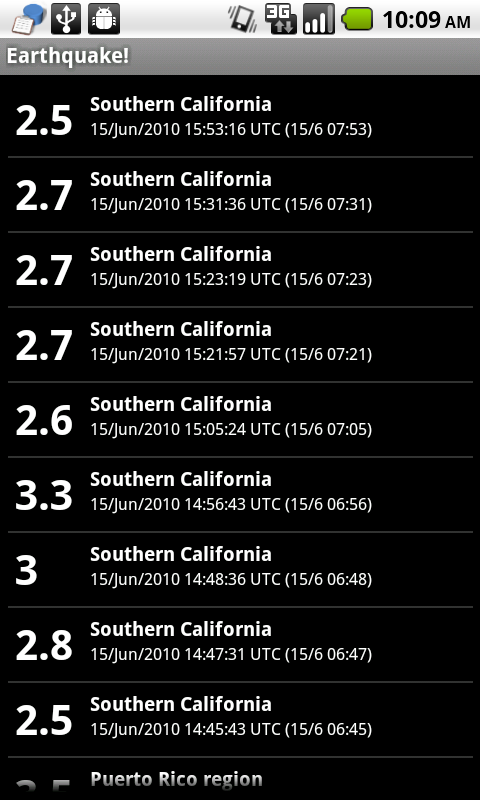 The default app view is a list of earthquakes by location, magnitude, and date. This is a pretty long list–a LOT more quakes and aftershocks happen around the world than you realize. (I believe the data comes from the USGS.) You can see that after last night’s SoCal quake, the list is littered with aftershocks. I set my magnitude filter to 5, because even the “can be felt” and “can cause damage” filter level makes a long list. 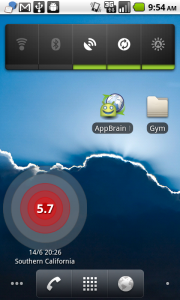 I also like the homescreen widget, which shows you the latest earthquake on your list. At Google I/O, Meier did a talk about the best and worst practices for Android developers, which I watched with interest, as I hope to be an absolute angel while creating Todo.txt Touch. Aspiring mobile developers, this is definitely worth a watch. 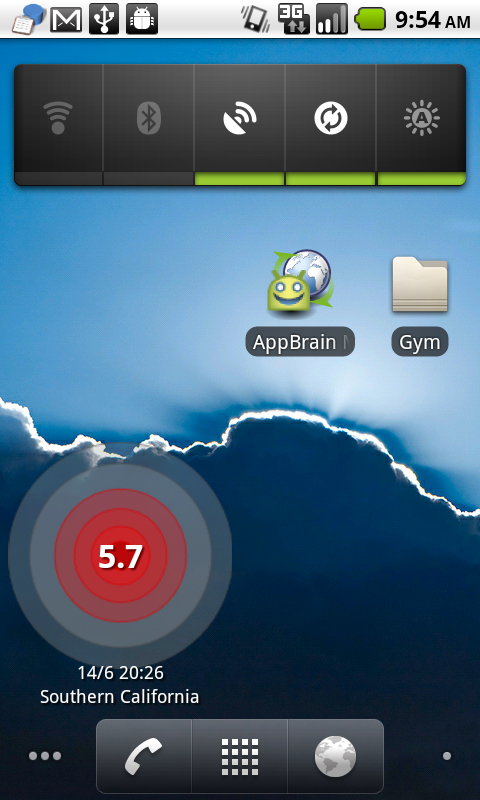 In the meantime, my working list of Android apps is continually updated on the excellent AppBrain. Here’s every Android app I’ve currently got installed. App Redesign: Will It Help Or Hurt Your Business? Most doorways are actually not load-bearing and pose the additional threat of the door swinging into you as a result of the quake. Check out FEMA’s guide on what to do during an earthquake. I know, I keep hearing the doorway thing is a myth, but it still, weirdly, makes me feel better.